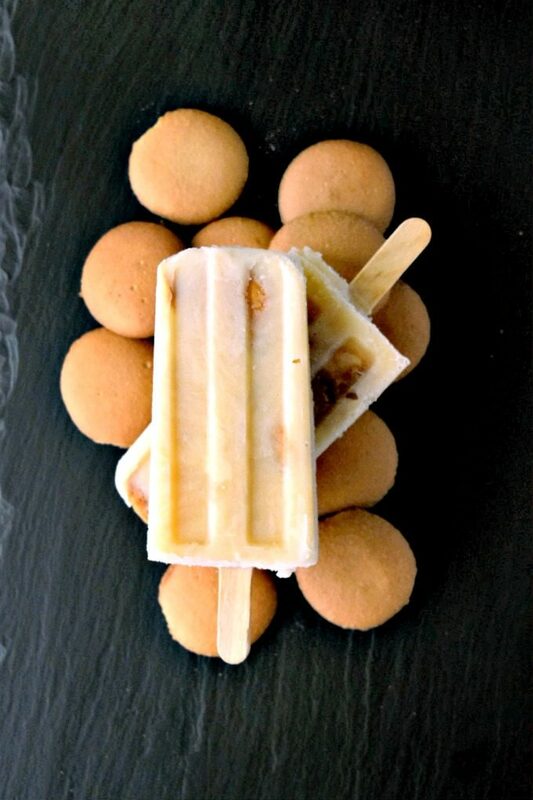 With all the flavors of a southern banana pudding, these Yogurt Banana Pudding Pops are easy to make and taste just like summer! Yes! We’re still celebrating #DairyMonth! I’ve been loving all the recipes these talented bloggers have been sharing. Are you enjoying them? I hope so. And I hope you’ve entered the giveaway for some amazing Cabot cheese. So, after my first adventure in making popsicles that turned out a total success, I thought I’d try my hand at making some more! You see, before when I made popsicles, they were really hard to eat after 24 hours. Sort of like making homemade ice cream. It’s really hard to scoop the next day. I’ve researched this repeatedly. I’ve tried almost every trick on the book and my ice cream STILL came out hard as a brick the next day. I honestly think the trick is to add pudding. I added pudding and a little more sugar to this mix than I did in the past and they were not hard and I didn’t chip a tooth. Of course that doesn’t really help if you’re doing a non-milk based popsicle. I wonder if Jell-O would achieve the same effect as the pudding? Hmm? I see more popsicles being made in my future. Because, who doesn’t love a good popsicle?? Since it’s now summer, I thought I’d turn one of my favorite summer desserts into a popsicle. Banana pudding is one of my favorite desserts!! It has a special place in my heart for two reasons: Nana and the hubs. Nana, well that’s sort of for obvious reasons. Her banana pudding was the highlight of the church social. It went faster than a crack of lightening across the sky. If you were lucky enough to get your bowl, then you were in heaven. It was the perfect combination of pudding to cookie ratio with delicious bananas in between. The hubs is not such an obvious reason. When he was still living in Cleveland and I was driving up there almost every weekend, I drove up the weekend of Easter. He wanted to make banana pudding for Easter dinner with his sister. So, we go to the store and get all of the ingredients to make two. Not one but TWO banana puddings. We had to have one, of course! These banana puddings weren’t made with pudding mix. Oh no. These babies were made from scratch! Pudding and all. Which, if you haven’t done ever, you really should. It’s the BEST.PUDDING.EVER! I made my own chocolate pudding, too. I feel the need to caveat that homemade pudding doesn’t have the gelatin in it that most off the shelf products do, and I’m convinced it’s the gelatin that keeps popsicles from getting too hard. These are full of natural banana flavor from the type of pudding mix I used. They have crunch from the Nilla wafers I put in the mix, and they’re super creamy good. They came out just like I wanted them to and I can’t wait to make another batch soon! Do you have a famous recipe for banana pudding, or have you tried to make pudding from scratch? Combine the pudding mix with the milk in a large mixing bowl. Stir with a whisk until combined. Stir in the yogurt, sugar, and vanilla and whisk until the sugar is melted. Fold in the crushed vanilla wafers. 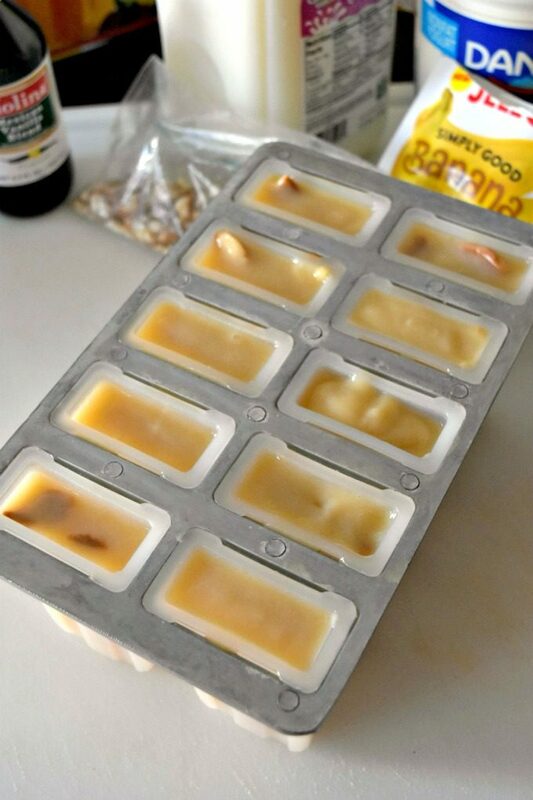 Pour into popsicles molds, insert sticks, and then freezer for 4 hours to overnight. Welcome to our week-long celebration of June being #DairyMonth hosted by From Gate to Plate and Cooking With Carlee. We are putting together our best recipes using cow milk, goat milk butter, cream and cheeses. We can’t wait to share them with you. Add what Hoor means to my header? Use your brand email address. Get bids to change your website. Thank you. They’re like summer in a popsicle. I love this idea so much! I bought some bananas today so we can try it! These look so good and perfect for the summer. I think the the vanilla wafer is a great addition. 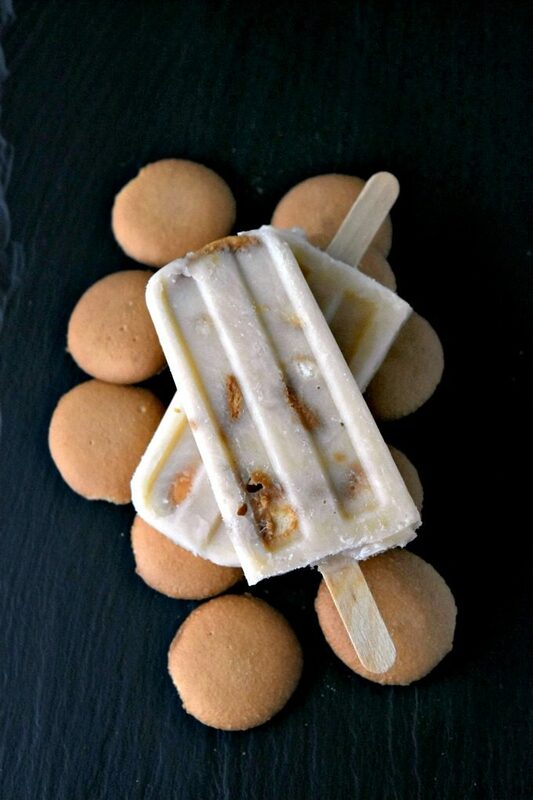 Banana pudding on a stick, what could be better? I put a wafer in the bottom of each popsicle so there’s one right when you start eating them. So good. 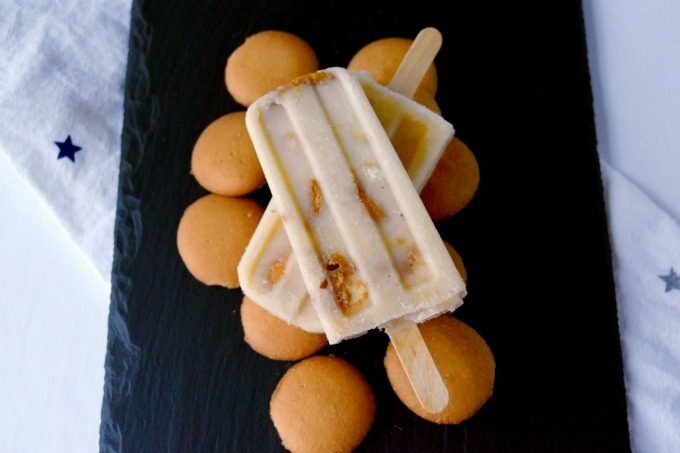 And it is banana pudding on a stick! 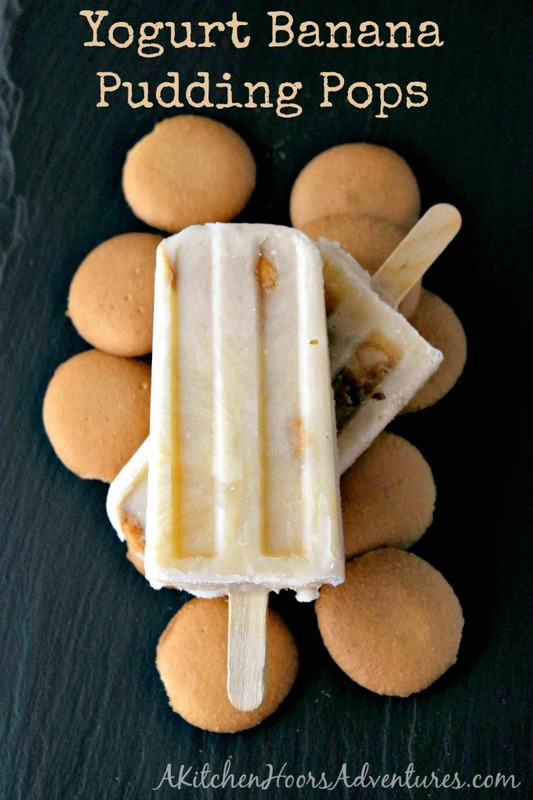 Banana cream pie on a stick…..yes, please! !